Reporting based on the integrated information collected from all systems, including dispatch, GPS, HOS, fuel card management. Reporting on the profitability, revenues, expenses, processes, assets, resources, clients, etc. Generating information to update third party systems, such as dispatch, truck management, accounting and others. 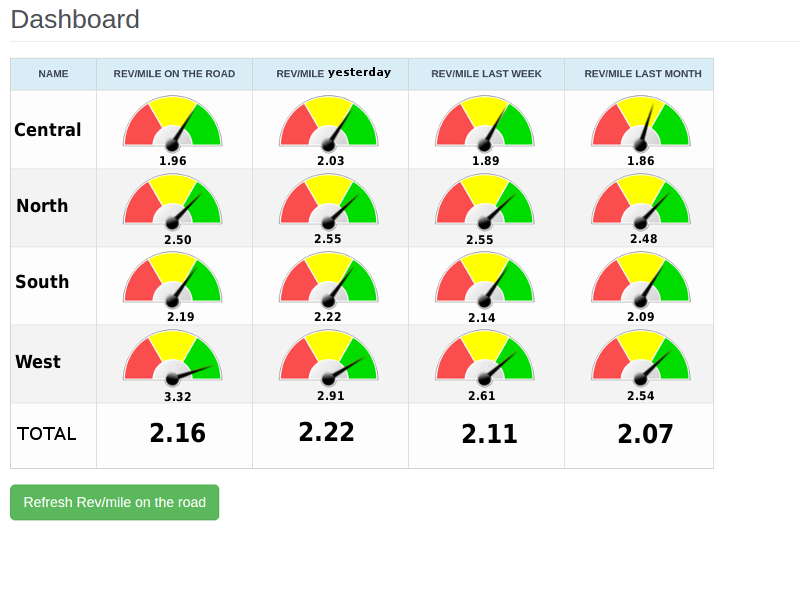 Providing dashboards based on the generated reporting information. Meet TrackEnsure at Great American Trucking Show (GATS) in Dallas, TX. Please see us in booth 19045 on the 24th, 25th and 26th of August, 2017. *Indicate your Email or Phone in the field so that we could contact you. © TrackEnsure 2015 - 2019 All Rights Reserved.